The weekend is upon us yet again – but remember it’s also Father’s Day this Sunday! 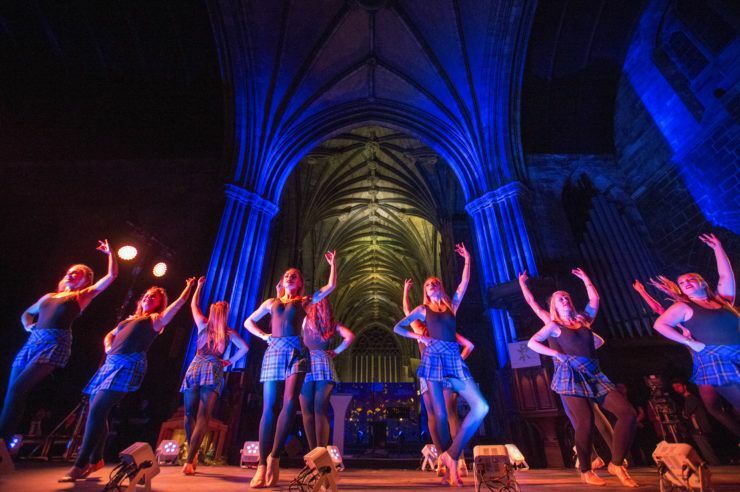 Whether your dad is keen on a spot of comedy or live sport, checking out top of the range supercars or even getting behind the wheel for some motoring action, there’s plenty ways to treat your him to some fun this weekend in Renfrewshire. St Vincent’s Hospice is bringing its hugely popular CarFest back to Paisley town centre on Saturday. 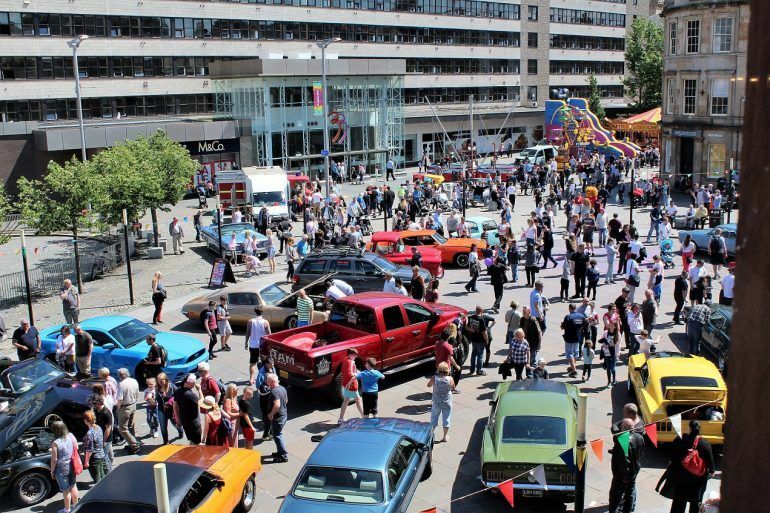 Motor enthusiasts can enjoy the classic, vintage and specialist custom cars on show, as well as muscle cars, supercars and emergency vehicles, not to mention motorbikes and remote control cars. There will also be plenty of family-friendly fun with fairground rides, children’s entertainment, live music, stalls and more. The fun kicks off with a procession of more than 100 cars taking part from Renfrew Road into the town centre at 8.30am. Find out more about CarFest. Top Scottish comedian Fred Macauley is celebrating 30 years of stand-up in 2018 – and he’s bringing his ’30 Years On’ tour to Paisley Arts Centre. Fred – who has starred in TV favourites QI, Have I Got News For You and Mock the Week – received stellar reviews for his 2017 tour, ‘Fred at the Stand’, and his anniversary show is not to be missed. Live boxing comes to Paisley’s Lagoon Centre on Saturday. WBA number 9 ranked Hannah Rankin bids to become Scotland’s first female professional champion as she challenges for the WBC Silver Middleweight Title against Finnish number 1 Sanna Turunen. A limited number of tickets are still available online. Find out more at on the Facebook page. Why not book dad a day he won’t forget at The Experience with their Dads Kart Free offer? 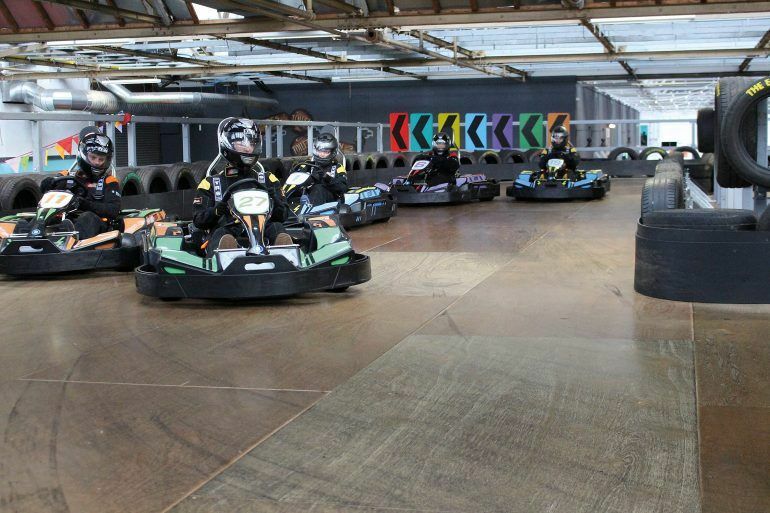 Challenge him to some friendly competition and whizz round the electric kart track full of twists, turns and excitement. Then, once you’re finished on the racetrack, arm yourself with a laser blaster and see who is the ultimate champion at laser tag. Find out more about the Dads Kart Free offer at The Experience.